Some of the best cookies I’ve ever had are pudding cookies. Do you know what I mean? The cookie dough with instant pudding mix in the dough. They come out so fluffy and soft and chewy and delicious…now I need to go make some cookies! 🙂 Anyway, when I saw a recipe for making my own pudding mix on Coffee With Us 3, I knew it would be great to have on hand for baking. If you ever make Amish Friendship Bread, you need lots of pudding mix to keep that delicious chain going! Mix all the ingredients together using a food processor so it’s smooth and fine. 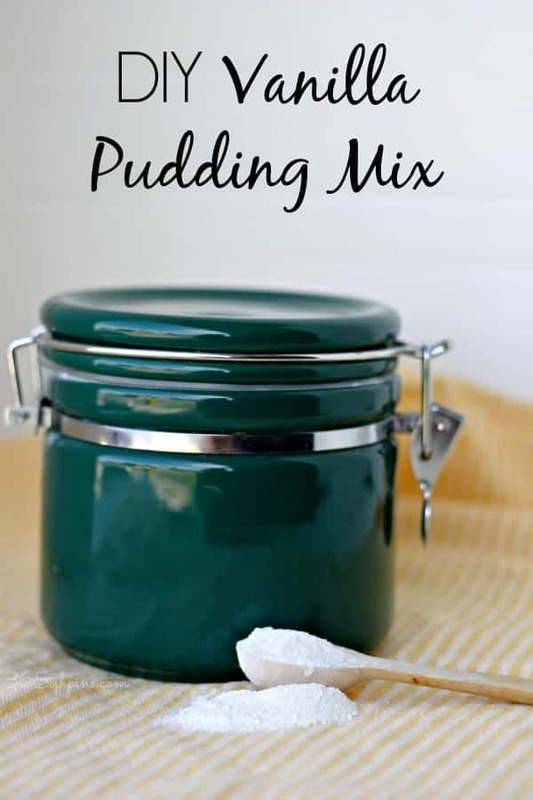 Use 1/2 cup of mix if you’re replacing a large (5 oz) box of pudding mix and 1/4 cup in place of a small box. Note: this is NOT instant pudding mix that you can stir together with milk and eat as pudding. The thickener is corn starch, which needs to be activated with heat. I tried cooking it the old-fashioned way, and it set up nicely. It isn’t as sweet as boxed pudding mixes, but it tasted like a good custard. However, I will be keeping this on hand primarily for baking purposes! 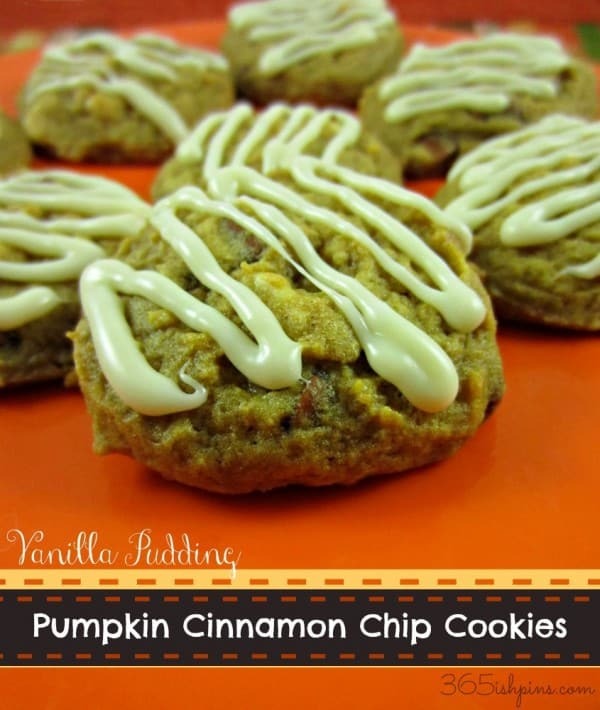 Last season I made some pumpkin cookies with cinnamon chips and a delicious frosting. It’s another pudding mix cookie recipe, so I’m pretty sure I’m going to have to test it out again with this new pudding mix. All in the name of research, of course. Someone has to do it! I’m so glad you posted this! I will be pinning the pudding mix and the cookie recipe (all in the name of research, of course!). My kids LOVE egg nog and I remember making it last year with vanilla pudding mix. I would must rather use your recipe than the boxed stuff, so thank you! This is great! I quit using boxed pudding years ago. Maybe I missed it, but how much milk or water would you add to make pudding, and how long would you cook it? Swerve would probably work the best as a replacement for the sugar. 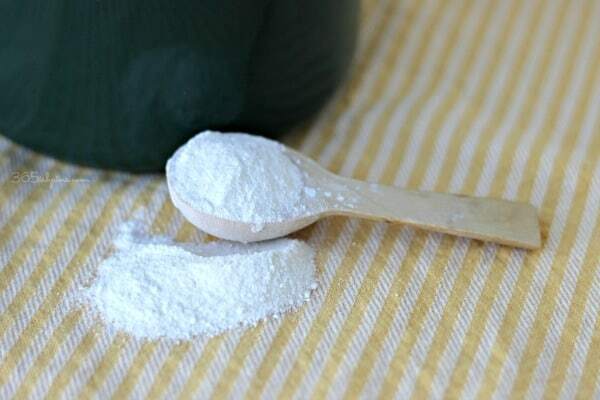 With all that powdered milk in it, you might even be able to just add water. Thanks for the added info. In love with this! My hubbie loves so many recipes with instant vanilla pudding. I am always making a time intensive custard because I refuse to use the packaged kinds due to many chemicals. Excited to try this out!